Today’s scarf I had to search for. It was not with all my others hanging in my room but actually in our hall closet. With it I also found some gloves and a hat I had completely forgotten about. Anyway, this scarf my mom made for me years ago. 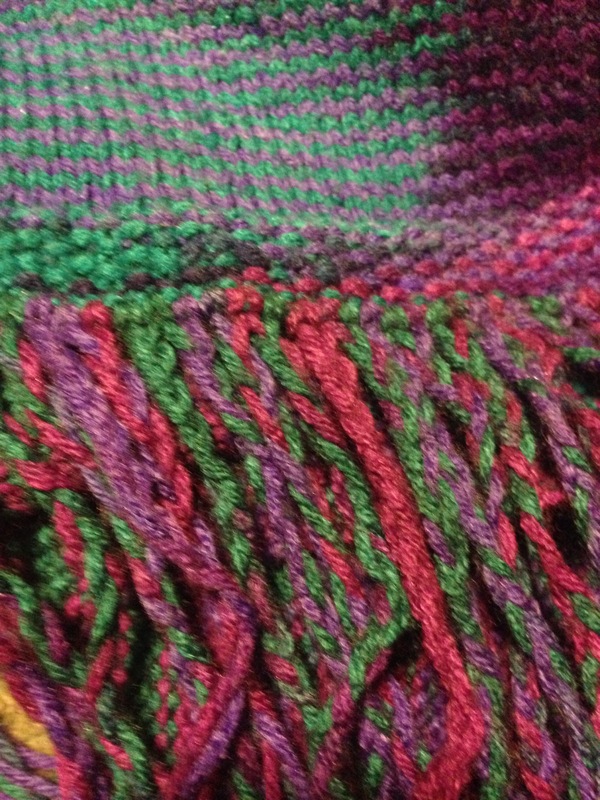 The yarn had been part of our stash for a while so she used it and I love the way the colors ended up. The striping of the purple, blues, and green was very interesting. The only thing is that it curls because of the stockinette even with the edging. I braided the fringe on the end when I was bored and it stayed like that.